Freshwater crayfish Cherax quadricarinatus have a high commercial value and are cultured in farms where they are potentially exposed to pesticides. Therefore, we examined the sublethal effects of a 50-day exposure to glyphosate acid and polyoxyethylenamine (POEA), both alone and in a 3:1 mixture, on the growth and energetic reserves in muscle, hepatopancreas and hemolymph of growing juvenile crayfish. 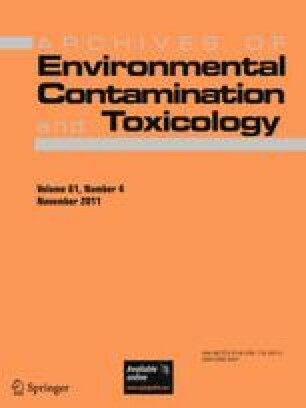 Exposure to two different glyphosate and POEA mixtures caused lower somatic growth and decreased muscle protein levels. These effects, caused by both compounds interacting in the mixture, could also be synergistic because they were expressed even at the lowest concentration. The decrease in protein levels could be related to the greater use of other energy reserves. This hypothesis is supported by the decrease in muscle glycogen stores due to glyphosate exposure and the decrease in lipid reserves associated with exposure to POEA. This study was supported by grants from ANPCyT (PICT 2006–01104 and PICT 2010) and UBACYT 2008-2010 program (EX241). It was also supported by Widener University Faculty Development Grant (2009) to I. V.